At Gen Con 2018, there are two venues at the convention streaming online so that even those who can't make the journey to Gen Con can directly share in the excitement and community of the show. Follow both of our Twitch channels (https://www.twitch.tv/officialgencon & https://www.twitch.tv/genconstudio) to catch all the action! Tip: Turn on notifications, so you get an update of when we go live each day! If you have your own Twitch channel, re-host our stream to help spread the fun far and wide, bringing even more people into the Gen Con family! The Streaming Stage hosts several special events each day, with celebrities, streamers, and industry luminaries playing games not only for a live studio audience, but also everyone watching from home. They will play Dungeons & Dragons or other fun RPG's and games. Some of them are fan-favorite streamers and others are industry veterans launching new games. If you are at the convention and want to attend any of these events in person, follow the links to get tickets directly to each session. Grab your spot before they sell out! You can also follow the links for full event details, including descriptions and specific participants. 7 PM - 9 PM: ENT18144649 Inkwell Society Live! 4 PM - 6 PM: ENT18144650 Sirens of the Realms Live! 10 PM - midnight: ENT18144651 Theogony of Kairos Live! 10 AM - noon: SEM18145300 The ENnie Awards - What Are They & Who Won? The Streaming Studio is where publishers, exhibitors, and sponsors will show previews of upcoming releases, demo new games from the show, and will interview their designers and staff. Each session lasts an hour and the Studio will be running all weekend. This is a chance for avid gamers at home to visit a booth at Gen Con digitally! You'll see demos of new games and get a peek at what's just around the corner. In addition to all of these scheduled events, we also have special adventures where our friends and hosts will bring Twitch viewers along for the ride as they explore the convention with a mobile backpack. If you can't be at Gen Con this year, you can still see it from the show floor! If there is something you specifically want us to show or visit, let us know in the chat! Adam Koebel is the co-designer of the award-winning tabletop roleplaying game Dungeon World. 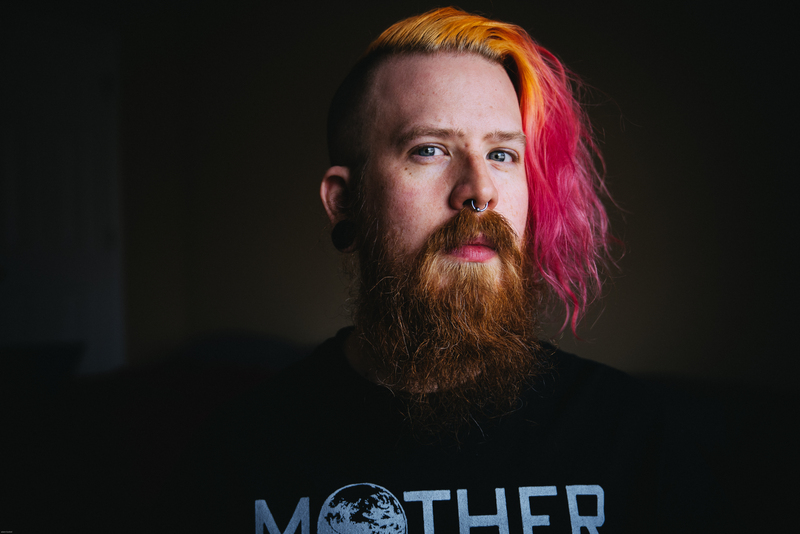 He's a full time Twitch broadcaster, best known for his work with the RollPlay family of live RPG campaigns as well as the long-running Roll20 Presents series, for which he is GM in residence. Adam is an advocate for diversity in games, and is an outspoken proponent of boosting LGBT voices in tabletop. When he's not doing all that, he's probably eating ramen or taking photographs. Saving Throw was founded in 2013 to focus on building a community around role-playing games through inclusion, interaction, instruction and just plain ol' good times. Since then they've produced hundreds of hours of liveplay streams, sketches, instructional videos, and reviews and raised thousands of dollars for charitable causes. With new content five days a week Saving Throw is making sure everyone has a place at the table! 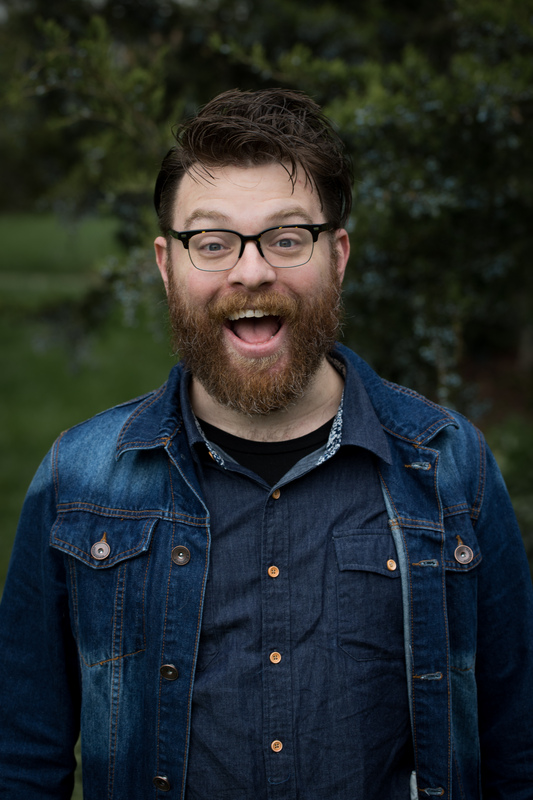 Travis McElroy is a professional podcaster who hosts numerous shows including The Adventure Zone - on which he plays Dungeons & Dragons with his dad and brothers. In addition, he co-hosts My Brother, My Brother and Me (MBMBaM), Shmanners, Trends Like These, Til Death Do Us Blart and more. He is also one of the titular brothers of the My Brother, My Brother and Me TV Show. He, along with his brothers and dad, has adapted The Adventure Zone arc one into a graphic novel available July 2018. 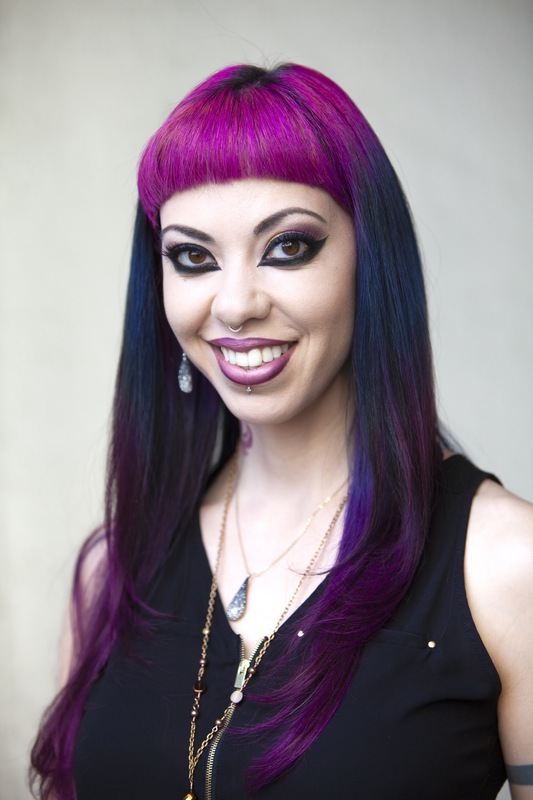 Maze Arcana is a multi-platform concept creator, helmed by Satine Phoenix & Ruty Rutenberg, that specializes in fostering an inclusive culture and augmenting the community with positive and uplifting content. 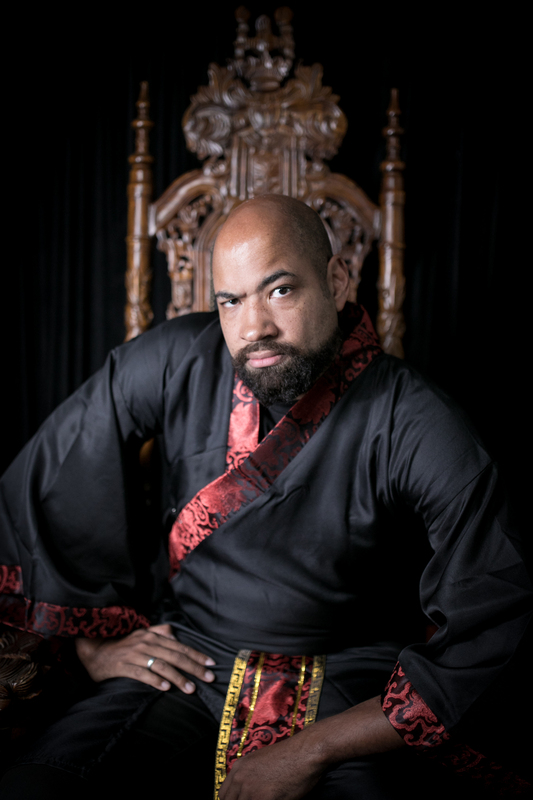 Ruty Rutenberg is a former U.S. Army OIF/OEF combat medic turned actor, author, voice-over artist, and award-winning Dungeon Master and showrunner. The films and TV series he has worked on include Argo, Fury, Baby Daddy, The Finest Hours, The Magnificent Seven, and Grow House starring Snoop Dogg and directed by DJ Pooh. Most recently, Ruty was the Lead Designer on the platinum selling Xanathar’s Lost Notes to Everything Else, the D&D Guild Adept’s follow-up to Xanathar’s Guide to Everything. You can find XLN, along with his platinum selling Adventure League Season 7 module A Day at the Races and other Guild Adept products on D&D’sDMsGuild.com. Storyteller, Geek, Motivator, and proud Scoundrel American. DM of ToK: Theogony of Kairos, Harmatio on Inkwell Society; Chato on We're Alive: Frontier on Project Alpha and Co-host of Ask Your Black Geek Friend on Geek & Sundry. Social handles BDaveWalters everywhere. This year is just our first step into streaming, so it's important that you let us know what you thought. What did you like in our streaming efforts this year? What would you like us to do in the future? We want to experiment with lots of different content and formats, so let us know what works well - and what doesn't. Additional equipment and production provided by Blackmagic. Blackmagic Design offers affordable high end studio quality live broadcasting cameras & production equipment for your home studio. Perfect for live streaming or prerecording your tabletop games. Blackmagic Design is an official sponsor of Maze Arcana & Imagine Dragons.